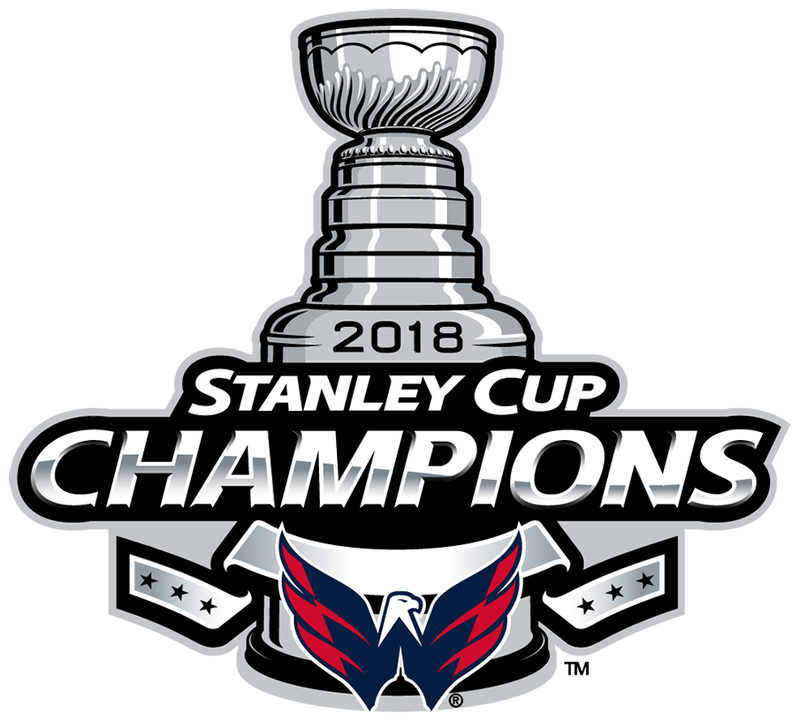 The 2018-19 NHL season is almost here, but 2017-18 and the Washington Capitals winning the Stanley Cup will live with me forever. Without a doubt, there are three things in life that I am most passionate about: hockey, professional wrestling and collecting memorabilia. Ask anyone who knows me well and they will say that, when I'm passionate about something, I take it to another level. Most people know that I'm crazy about hockey and professional wrestling, but few know that I feel the same about collecting memorabilia. It was Keith Tam, my former physiotherapist and now close friend, who started it all. Because I was born with cerebral palsy and required back surgery when I was in Grade 1, Tam was introduced in my life and came to my home on a weekly basis to help me build up my strength. He is a hockey fan in his own right and educated an eight-year-old me about hockey cards and collecting rookies. He asked me if I had a favourite player and team. “Alex Ovechkin . . . Washington Capitals!” I replied in my pre-puberty voice. Tam suggested I look for his Upper Deck Young Guns rookie card and to make sure I put it in a hard cover sleeve. I found the card and — just like that! — I had a passion for collecting. But, of course, as I got older I took things to another level and eventually stopped with cards. The collecting evolved to autographed or game- and/or event-used items. I watched and continue to watch documentaries about the memorabilia business. I'm extremely selective when it comes to buying memorabilia. Before I even consider buying anything, I ask myself what the significance is. If there isn’t any, I don't buy. When the Capitals won the Stanley Cup last season, I not only made sure I was there for Game 5 — they defeated the Vegas Golden Knights, 4-3, to earn the right to hoist the Cup — I tried my best to get as many items as I could from the great achievement. After all, there's nothing more significant that that. It was the team I grew a deep love for because of idolizing Ovechkin and the Capitals had just won their first championship. Just a day later, I had my chance. The National Hockey League made available the carpet that had been used for the presentations of the Conn Smythe Trophy and the Stanley Cup. I jumped at that faster than I can move my legs. I didn't stop there, and bought ice from the surface from one of the games in the final. Then it didn't take long until I got another phone call. They told me they had Ovechkin's undershirt from Game 5 — it reeked of champagne — and I bought that, too. I have been told that it will be signed and shipped soon. Speaking of champagne, I had an opportunity to also buy a bottle from the Capitals' locker room celebration. However, I was in San Francisco for vacation and missed out. To this day, I’m kicking myself. Some may not understand, but for me, it's simple. Ovechkin and the Capitals are the reason I wanted to be a hockey player. Despite having had that taken away from me because of a disability, I haven't quit and push every day in the hopes of being part of an NHL team's public relations/communications department. Who started all that? The Capitals and Ovechkin. I buy memorabilia to not just own a piece of history, but to remind myself what life is about and why I get up every morning. I remind myself to grow, have character, be a good person and make a difference, and also to never, ever lose. It’s what makes me, me. Never be too cool to do anything just because of age. Collecting memorabilia is therapeutic and puts a smile on my face every time I look at items that are in my collection. Life isn’t about a price tag and I won’t ever sell any of my items. It's about how they make me feel. Having struggled with depression and anxiety, they get me through a bad day. Take the Stanley Cup presentation carpet for example. It's getting framed and worked on at the moment, but when I finally get it and it's all done, I will always know I have a piece of history and that I watched my favourite player lift the the Cup on it. The same holds true for Ovechkin’s undershirt and the ice. By the way, when I told people I was going to find a way to get the carpet framed, I could tell they really wondered if it was possible. It weighs about 40 lb., and its eight feet in diameter. I was determined to have it and now the framing is being done. I'm really sensitive about protecting memorabilia. Everything has to framed and given some sort of protection. One year for Christmas, I brought four WWE Funko Pop figures and gifted them to Parker and Katie Schmidt's two sons, who are like family to me. The second I gave it to them, they tore the boxes apart like a couple of wild animals. I died a little inside. I didn't say or do anything because, at the end of the day, the figures belonged to them now, so they could do whatever they wanted with the figures. Nobody will ever catch me leaving something loose or unprotected, ever. The worst anyone will get from me is maybe a signed item left in the closest so that it's away from sunlight. I own a large collection of memorabilia — items varying from an autographed plaque by WWE legend Shawn Michaels with a piece of the ring canvas from WrestleMania 12 to WWE superstar Kevin Owens’ ring-worn t-shirt from NXT TakeOver: Rival when he defeated Sami Zayn to capture his first championship with the company. There's no question though, that the Stanley Cup presentation carpet and Ovechkin's game-worn undershirt from Game 5 are the holy grails of my collection. Which one do I value more? I can't answer that, because they both mean so much. Will I ever stop collecting? No. I'm the only person in the world to attend the Capitals' Stanley Cup clinching game, own the presentation carpet and have Ovechkin's undershirt from it, too. Some people may think I’m crazy, but it will forever put a smile on my face and remind me to go for my own NHL dream, which is all that matters. You really can’t put a price on happiness.